PADI (Junior) Open Water Divers who are at least 10 years old and want to take the next step should enroll in an Adventure Diver course. Young divers may only participate in certain Adventures Dives – check with your Seaweed Diver PADI Instructor. Sign-up for either the PADI eLearning or PADI Touch (or come get your Book & DVD) and complete your course work. 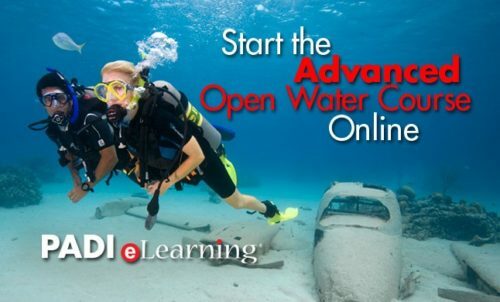 Complete the PADI eLearning or PADI Touch available on-line right here. You can choose what you’re most interested in learning. Need to work on your buoyancy skills? Try the Peak Performance Buoyancy Adventure Dive. Want to know what you’re looking at down there? Try the AWARE – Fish Identification or Underwater Naturalist Adventure Dives. You’ll plan your path with your instructor, go over what you need to know and dive in quickly. You can also choose to read the Adventures in Diving manual and watch the Adventures in Diving video (a book and DVD package). Stop by Seaweed Diver to enroll in the course, get your materials and start learning. Your Seaweed PADI Instructor will meet with you to schedule knowledge review sessions along with your Adventure Dives. Beyond using basic scuba equipment, you’ll learn to use specialized gear depending on the Adventure Dives you choose. For example you will need a dry suit for the Dry Suit Adventure Dive or a sidemount configuration for the Sidemount Adventure Dive. Your PADI Instructor will explain the equipment that you need and may suggest additional gear, such as a dive light for night diving or a lift bag for search and recovery diving.